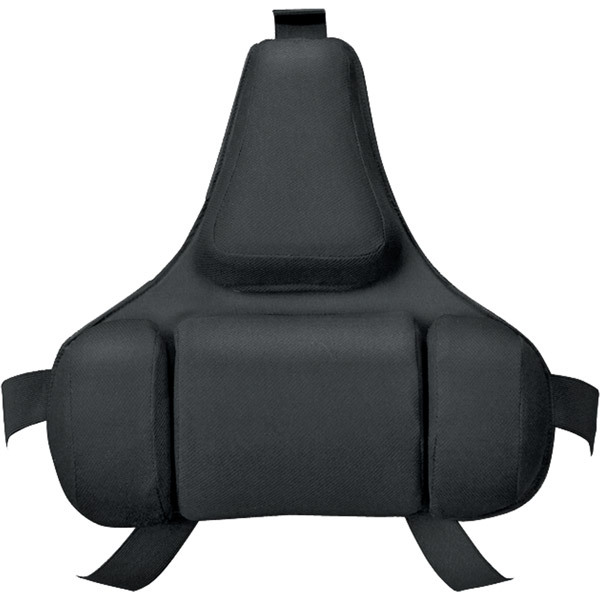 The Lumbar Back Rest looks—and feels—like no other lumbar support. SmartFit™ system lets you quickly and easily set the most comfortable position for your back. The unique shape supports and aligns your spine while the heat-activated memory foam construction molds itself to your body for a truly comfortable fit. 50% recycled content means that it supports the environment as well. 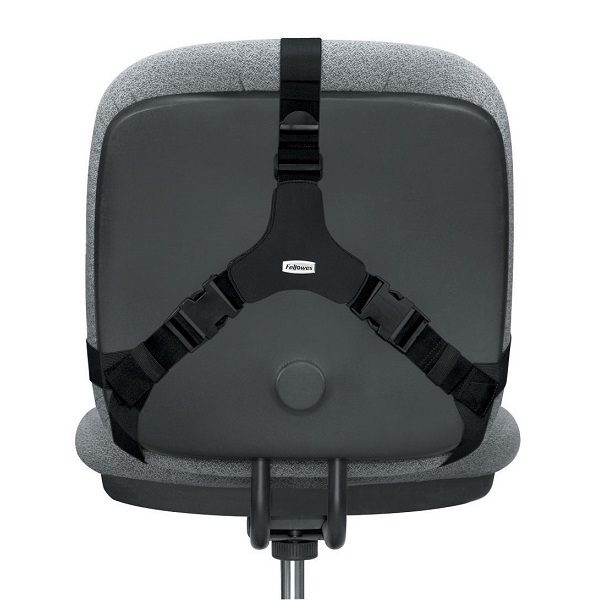 Personalise workspace comfort with temperature control and back support. 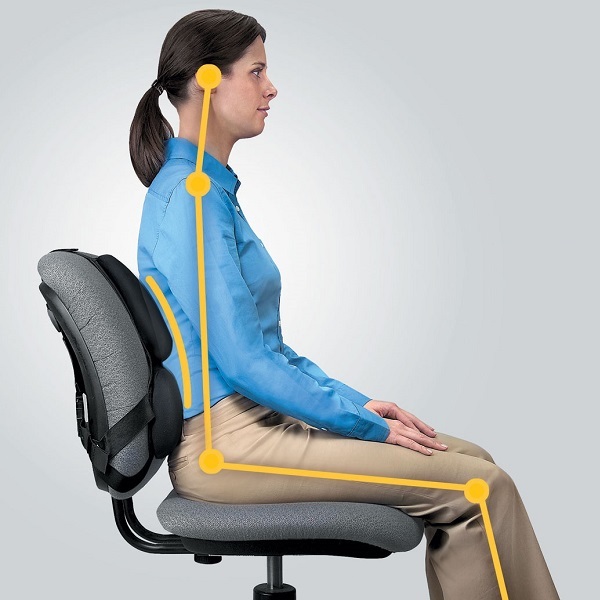 Helps reduce tension by maintaining the natural curve of your lower back to correct slouching. Includes Heating and Cooling Gel Pack to help ease muscle aches and pains. Slim profile with soft touch fabric enhances personal comfort. 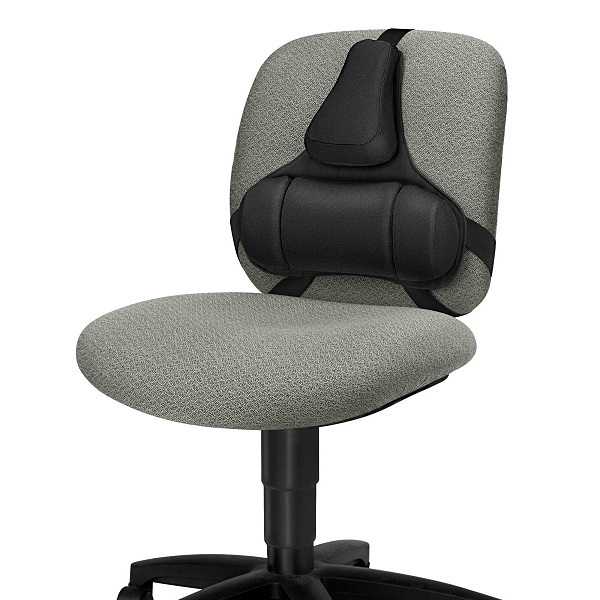 Adjustable strap with buckle fits most modern office chairs. Supports the whole of your back with Memory Foam to improve circulation and comfort. 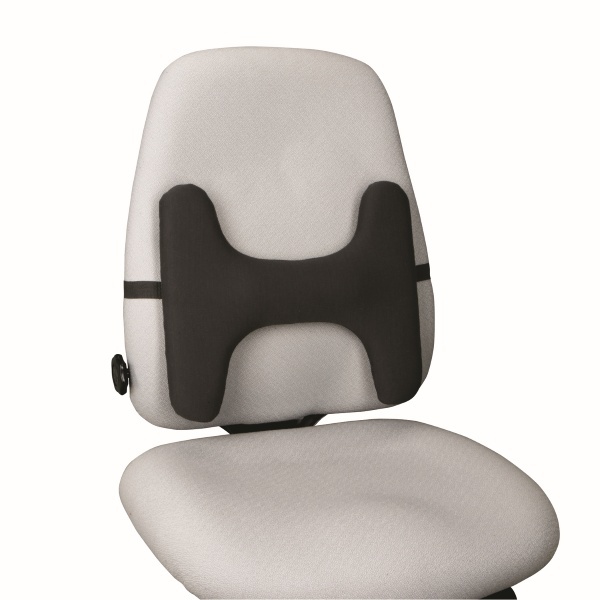 3 Section lumbar support expands and contracts to natural body curvature. Innovative Tri-Tachment™ ensures stability eliminating constant re-adjustment. 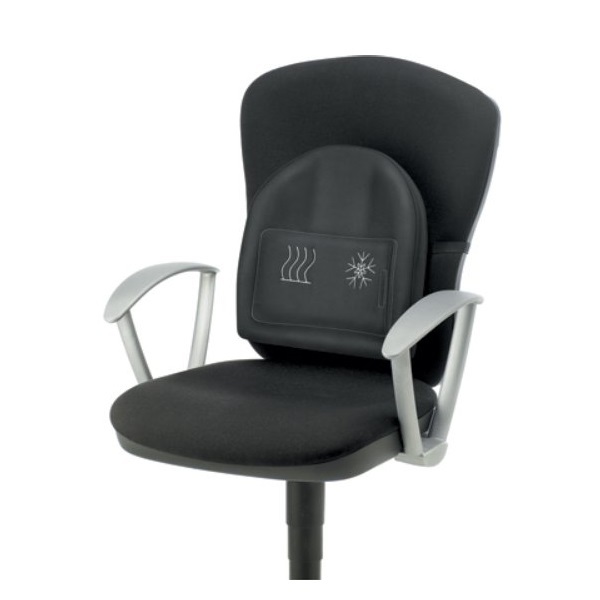 Fully adjustable design allows it to fit most office chairs.